The former Suits actress' personal assistant, Melissa Touabti, reportedly quit her royal post suddenly in early November 2018, the Daily Mail reports. According to a source cited by the gossip rag, "It's a real shock. Why would she want to leave such a prestigious job so soon?" Meanwhile, another insider from Kensington Palace called Touabti, 39, a "hugely talented person," adding, "She played a pivotal role in the success of the royal wedding and will be missed by everyone in the royal household." In a follow-up report, the publication noted that Touabti "happily" worked for former Take That singer Robbie Williams, whom another source called "a lively character," before scoring her highly coveted royal gig. However, as the insider added, "She worked for him longer than she worked for Meghan." At the time of this writing, the Palace and Markle herself have yet to publicly comment on losing Touabti as a personal assistant. While this isn't necessarily surprising, it's been widely speculated in the press that having to deal with the duchess' highly publicized family drama on top of the stresses of royal wedding planning may have played a major role in Touabti's shocking decision to leave her position — particularly since it notably came only six months after Markle, 37, and Prince Harry, 34, tied the knot. 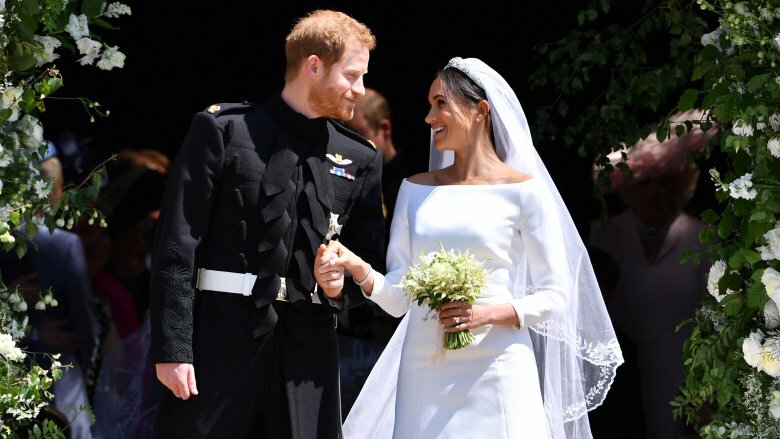 As Nicki Swift previously reported, the royal couple married in a gorgeous ceremony held at St. George's Chapel at Windsor Castle on May 19, 2018. However, the prince was supposedly "petulant and short-tempered" with palace staffers ahead of their big day — according to recent claims made in royal biographer Robert Johnson's book, Charles at Seventy, that is (via the Mirror). As Johnson alleged, "Raising his voice on occasion, Harry would insist: 'What Meghan wants, she gets.'" 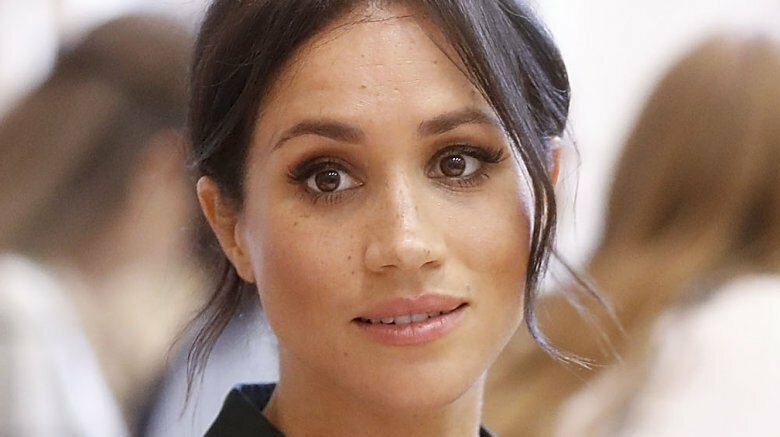 Meanwhile, as fans of the royal family may already know, Markle's strained relationships with her father and half-sister, Thomas and Samantha Markle, have dominated headlines for the better part of 2018. Thomas, 74, sparked an infamous media storm over staged paparazzi photos the week of the royal wedding, and was later unable to attend the ceremony after undergoing heart surgery. While Thomas began to slam the British royals in the press, Samantha, who was apparently upset over not receiving an invite to the royal nuptials, has continually spoken out against her famous half-sister on social media. In early October 2018, the 53-year-old was reportedly turned away from palace security after showing up unannounced amid these ongoing familial tensions. 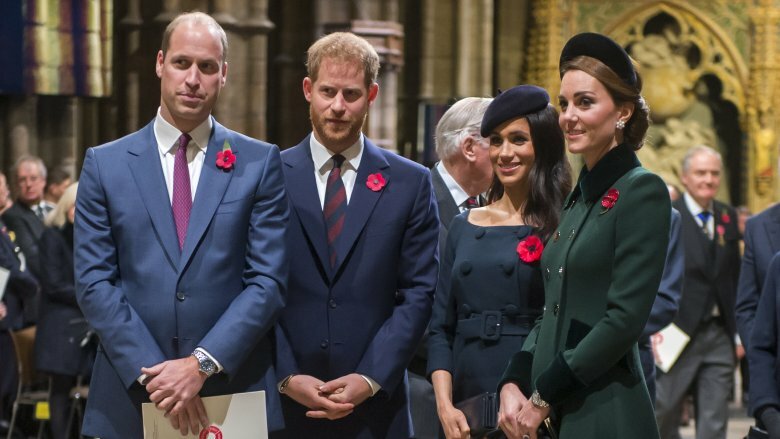 Unfortunately for the Duke and Duchess of Sussex, the royal family drama just keeps on coming. Earlier this week, a number of reports surfaced claiming that the royal pair were allegedly feuding with the Duke and Duchess of Cambridge, Prince William and Kate Middleton, as they prepare to move out of the palace to Frogmore Cottage on Windsor Estate. "Kate and Meghan are very different people. They don't really get on," a source cited by the Daily Mail said on Saturday, Nov. 24. However, as another insider later told Vanity Fair, "Kate and Meghan are very different people and they don't have a lot in common but they have made an effort to get along. Any issues are between the brothers." Indeed, as a separate source recently told The Sun, there's reportedly "been a bit of tension" between the two princes. "Now Harry and Meghan don't want to live next to William and Kate and want to strike out on their own," the insider went on. "They need more room and hope Frogmore Cottage will be ready in time for when they have the baby." The Duke and Duchess of Sussex officially announced in mid-October that they're expecting their first child together in the spring of 2019. However, it thankfully sounds like there may not be any bad blood between the popular duchesses after all. During Middleton's visit to Leicester University on Wednesday, Nov. 28, a fan asked whether she was excited about Markle and Prince Harry's baby news. "Absolutely!" Middleton, who's mom to Prince George, Princess Charlotte, and Prince Louis, replied in a video captured by an onlooker. "It's such a special time to have little kiddies. And a cousin for George and Charlotte, as well, and Louis. It'll be really special."